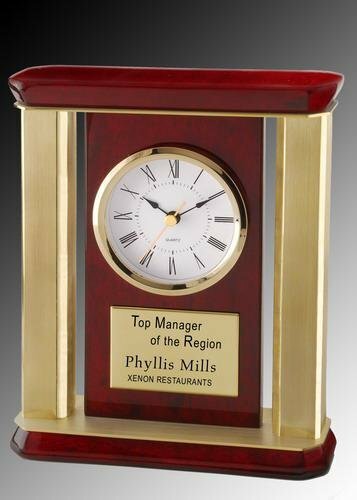 This gleaming rosewood clock with gold accents is another exclusive to the trophy awards product line. 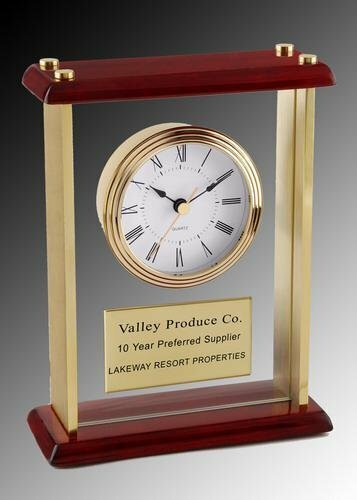 6 1/2" x 2 1/8" x 8 1/2"
This gleaming polished rosewood clock with gold accents is another exclusive to the trophy awards product line. 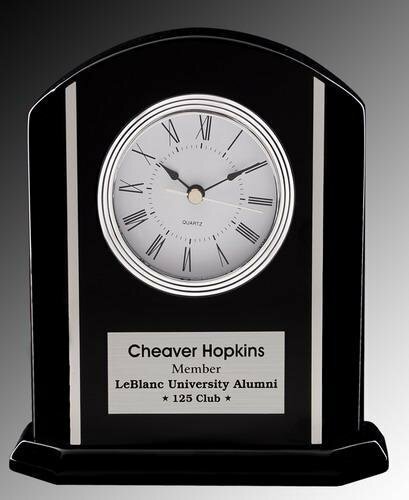 7 3/8" x 2 3/8" x 9"
This Jet Black clock is a beautiful piece with silver accents. 7" x 1 7/8" x 8"
This beautiful masterpiece is made entirely out of the finest cherry woods. 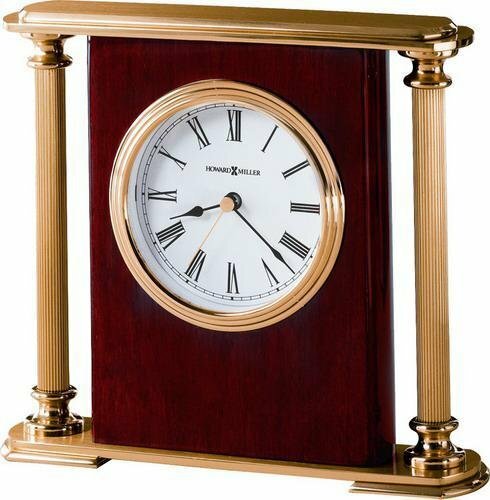 Standing nearly 6 1/2' this clock is sure to make any room in your office or home more elegant and beautiful. 77 1/4" x 19 1/4" x 11"
This small pendulum wall clock had no details left out. Made out of the finest cherry woods, this piece will make a great gift for any occasion. 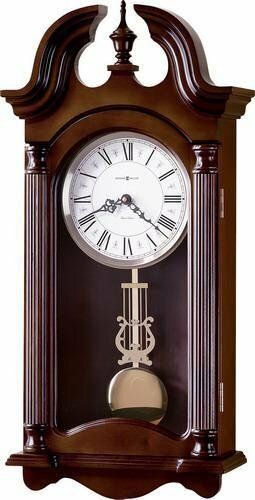 26 1/4" x 12 1/2" x 5"
This mantle clock is truly a work of art. Made out of the finest materials this clock makes an impression. 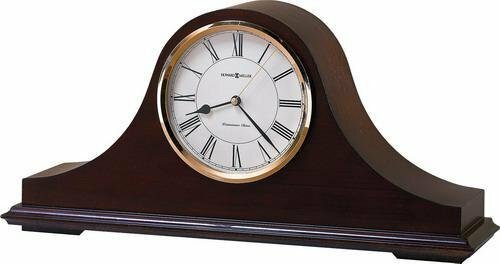 8 1/2" x 17 3/4" x 4 3/4"
This high gloss rosewood clock is a great gift idea for any occasion. This clock has gold accents that make the piece stand out from others. 6 1/2" x 7 1/4" x 2"